The Rozenhoedkaai is a popular spot for photographing Bruges. 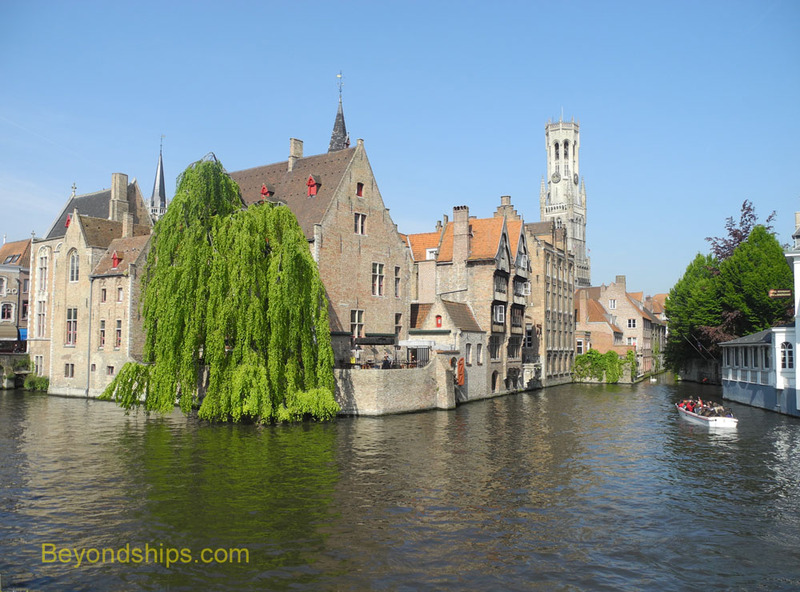 Bruges is probably the most popular place to visit during cruises to Belgium. 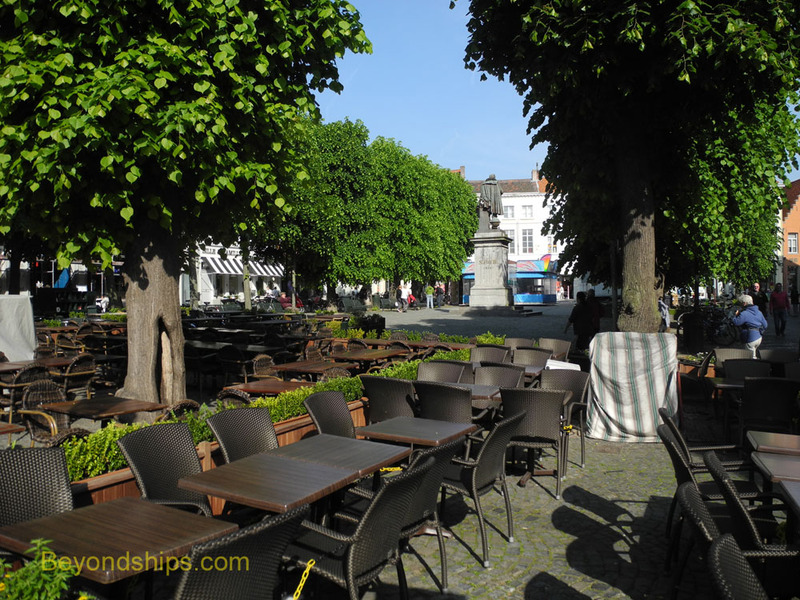 It is about a half hour from the cruise port in Zeebrugge and can be reached by local trains and buses. In addition, the cruise lines usually offer several tours that combine a walking tour with a canal boat ride, a visit to a brewery, or a chocolate tasting. For the most part, Bruges is a city that time forgot. The city center is a collection of well-preserved buildings ranging back over the centuries to Medieval times. Furthermore, the eye-pleasing architecture is enhanced by a network of canals looping through the old city. Almost everything in central Bruges is geared toward visitors. However, the city has successfully avoided cheap commercialization. Perhaps because of this, there are often a lot of tourists in Bruges. People have been living in Bruges since the 2nd century. However, it was not until 1126 that the city received its charter and began to prosper. A tidal inlet (known as the Golden Inlet) gave the city access to the sea. This enabled Bruges to become a trading center. In addition, merchants began to band together to pool their resources and took advantage of innovative economic tools such as promissory notes and letters of credit. Foreign traders were welcomed and ships from as far away as Venice came to Bruges. The city's prosperity centered upon wool and cloth manufacturing. Bruges' weavers and spinners were considered the best in Europe. By 1500, the Golden Inlet had begun to fill with silt. As a result, ocean-going ships could no longer get to Bruges and the center of trade shifted to Antwerp. This led to a period of economic decline. In the 19th century, however, wealthy travelers from Great Britain and France began to come to Bruges on holiday. This began a new life for Bruges as a tourist destination. Today, some two million tourists come to Bruges each year. 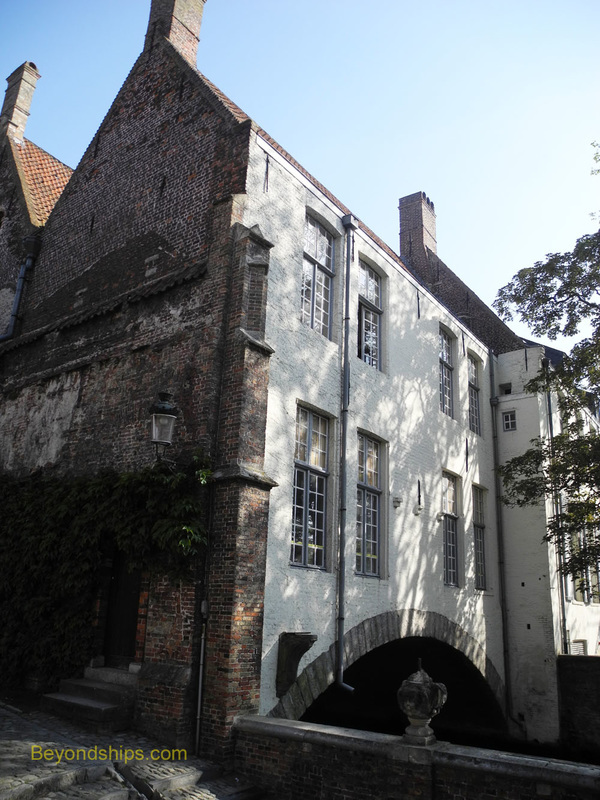 The area of interest to visitors lies within the walls and moat that once defended Bruges. Inside this area, the streets are windy and often narrow. Some parts of this area are pedestrians-only but there is automobile traffic on some streets. Both the train station and the lot where the tour buses park are just outside of the city walls. The best way of exploring Bruges is by foot. Walking down its narrow, often twisty streets you suddenly come upon a great view, perhaps of an old house, a canal or some quiet square. Furthermore, motor vehicles are excluded from some of the sections of town where the most significant landmarks are located. An alternative to walking is to take a horse drawn carriage. These proceed at a slow pace giving the passengers a view over the swarms of tourists who flock to Bruges in the warmer months. While you cannot see everything from a canal boat, a cruise around Bruges' canals is a worthwhile experience. Back when Bruges was a trading center, the canals enabled merchants to move goods around town as well as out to sea. Today, they offer scenic views of the town from a different perspective than you can get on land. The crews give a running commentary pointing out the different places of interest. But the main attraction is simply to absorb the atmosphere of this pretty city. Above: Wandering through Bruges, you come across both the unusual and the picturesque such as a house that straddles a canal (above) or the pleasant green space of the Simon Stewn Plein (below). 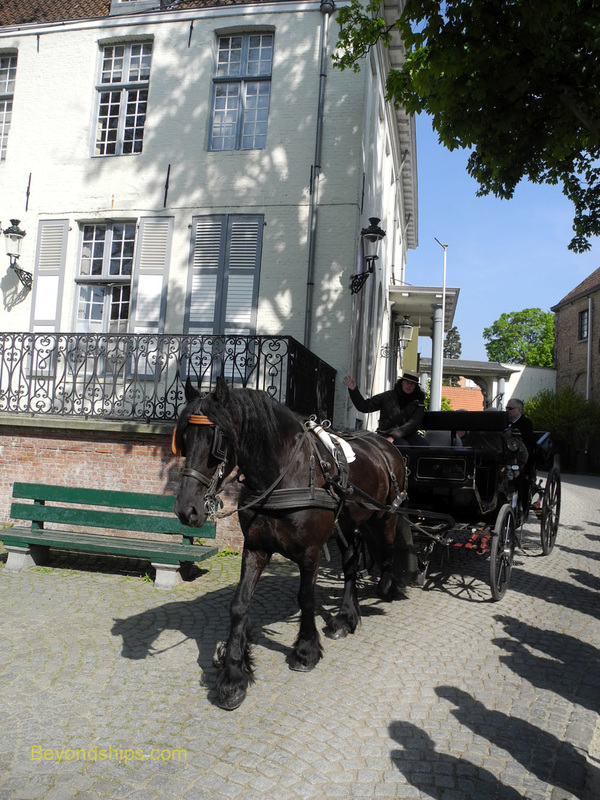 Horse drawn carriages are an option for touring the town (above) but a cruise on Bruges' canals is a must (below).